Tim Rice won his second Munster PGA event of the season when he shot a five under par 67 in Killarney. Rice knocked in six birdies in an impressive round on Mahonys Point. Close to 30 PGA Professionals played in the event, which was sponsored by John Caulfield from TaylorMade and the scoring was very impressive with 11 golfers shooting par or better. Cian McNamara took second place with Fota Island’s Jack Howard picking up his first prize as a pro, after a 69 to finish tied for 3rd place. Lahinch’s Donal McSweeney was fifth with a two under par 70. The over 45 prize went to David Whyte while the team prize was won by Tim Rice, Alan O’Meara, Jamie O’Sullivan and David Whyte. 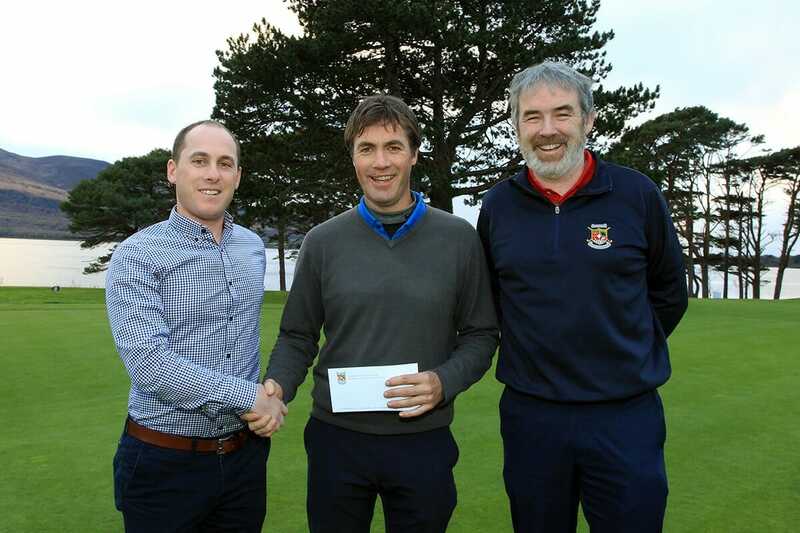 Mahony’s Point was in great condition and Munster PGA Captain Cian McNamara thanked Cormac Flannery and David Keating for their help with another great outing. Killeen is currently undergoing some work as a new green is being constructed on the iconic first hole. The new green brings the water into play for the second shot and a large proportion of the work has been completed with an opening due for early next year. The Captain also passed on his best wishes to Danny Sugrue, the Dooks professional who underwent major surgery last week for an ongoing condition and everyone was delighted to hear that he’s making a good recovery. The last event of 2017 will take place next Monday in Castletroy and another good turn-out is expected. After that a further four events are planned for early 2018, and the series is scheduled to conclude with a pro-am in Monkstown where the Morgan O’Donovan Perpetual Trophy will be played for. The Munster PGA winter series is sponsored by Premium Golf Brands. Team: Tim Rice, Alan O’Meara, Jamie O’Sullivan, David Whyte.